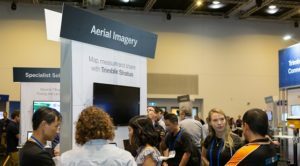 With the improvement of technology and more flexible airspace regulation, UAVs are increasingly accessible, economical and easy to use. UPG has been in the UAV industry for over 5 years and has a robust product offering from a number of industry leading manufacturers. With a specialist team who sell, train, support and operate the UAV portfolio; we’re excellently placed to help you understand what kind of solution might be appropriate for your project, how it can integrate into an existing workflow and what’s involved in developing or improving a UAV capability. 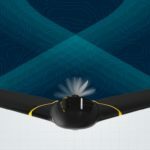 The eBee X is the senseFly fixed-wing drone for all your mapping needs. Designed to boost the quality, efficiency and safety of your data collection, it has a camera to suit every job, the accuracy and coverage to meet every project’s requirements, and can work virtually every type of site. Improved GNSS module on the most popular multi-rotor for aerial mapping. 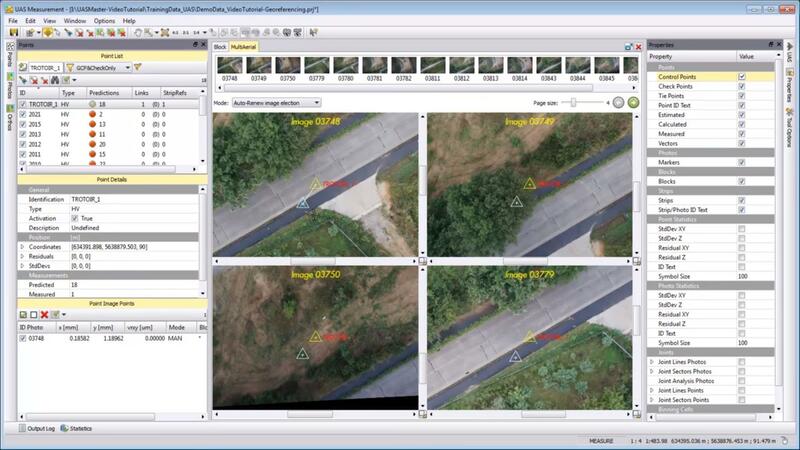 UPG also offer a PPK workflow with the Trimble Stratus software package. 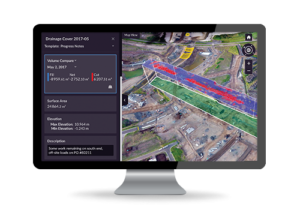 The streamlined workflow allows you to use an aero point as a base to achieve centimetre accurate data without the need of a reliable internet connection during your flight. Built To Endure. Engineered to Adapt. The ultimate platform for aerial productivity combines a rugged design and simple configurability to work as a solution for a variety of industrial applications. Improvements to the M200 Series V2 enhance intelligent control systems, flight performance, and add flight safety and data security features. UPG is a training organisation approved by the Civil Aviation Safety Authority (CASA). The Flight School has been operating since 2013 and has assisted over 350 students to gain their Remote Pilot License. UPG’s experience in the geospatial industry allows our instructors to provide tailored training to suit specific applications such as aerial survey and asset inspection. 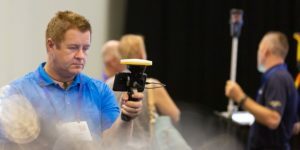 UPG staff have a variety of backgrounds including Aviation, Surveying and Photogrammetry which allow us to provide a 365-degree training and support to our clients. For more information on training, purchasing, license requirements, get in touch. If you need to create accurate survey or mapping results, there are a number of methods to achieve real world absolute accuracy. UPG offers a variety of Trimble solutions for ground control point, PPK or RTK workflows. There’s a lot more to using a UAV than charging the battery and getting in the air. Through its close relationships with manufacturers and distributors, dedicated support pathways and staff who have intimate technical knowledge; UPG offers the kind of support needed for the whole data capture and processing solution that a drone is part of. 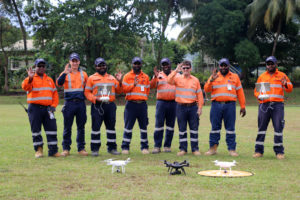 “UPG Flight School assisted Melbourne Water in developing an internal drone program by providing the RePL course to 10 employees. The instructor's experience with enterprise clients allowed us to implement drones in our operational workflow by successfully managing regulatory requirements and standard operating procedures. This has allowed Melbourne Water to minimise the exposure of our employees to locations of potential harm as we can now perform asset inspection works remotely in a safe and efficient manner." 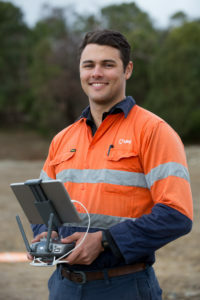 While Kieran and Lorenzo ARE the UAV team, across the three companies we have the benefit of working with a number of key, experienced partner business to offer the best solutions in the Geospatial, Civil Construction and Mining, and Buildings industries. If you have any questions or want to find out more, just get in touch. Lorenzo joined UPG Flight School in April, 2016 and runs the CASA-approved RePL course, among many other roles. He also develops material for the RePL and drone courses, and manages a team of four remote pilots and a fleet of 10 remotely piloted aircraft. Lorenzo came to Australia from his native Italy in 2010, where he spent three years in the Italian Navy. 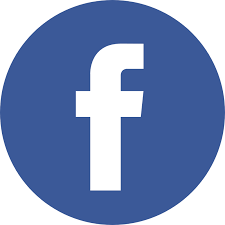 He has a Bachelor of Aviation Science from Griffith University in Brisbane, which he attained in 2014. With more than six years of customer service in a number of roles both within the industry and in other fields, Lorenzo says he enjoys assisting clients and their businesses integrate drone technology into their operations. Kieran has been with the flight school since February 2017. He Is a drone instructor with a high level of skills in assisting clients collect data in the field and obtain photogrammetry outputs. He is also conducts much of the school’s software training courses. Kieran holds a Bachelor of Science majoring in Geography from the University of Queensland. Customer service is a passion for Kieran and he enjoys employing his problem-solving skills to meet clients’ needs from the variety of hardware and software the flight school offers, as well as training to ensure the tools deliver to the highest level. © 2016 Ultimate Positioning Group. All rights reserved.